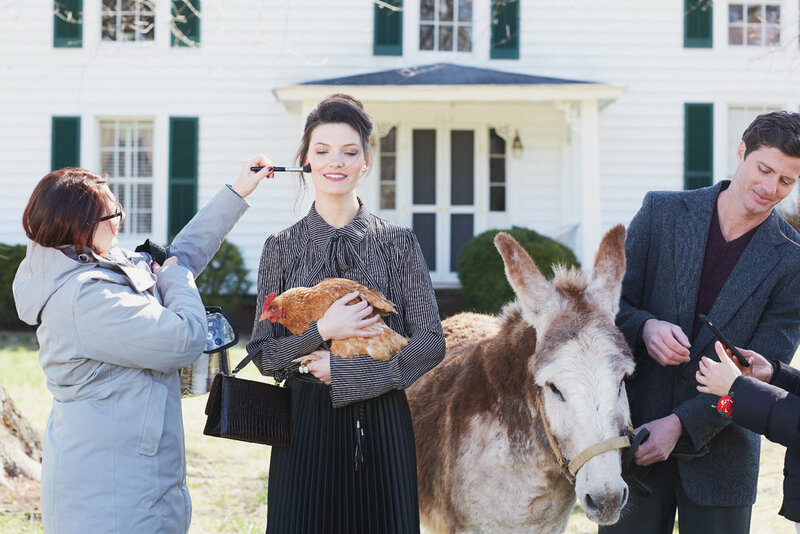 What do you get when you have a team of creatives, freezing cold weather on a farm in North Carolina some chickens and a donkey named Eeyore? Well, a take on American Gothic - of course! Awhile ago I had the opportunity to visit with super talented stylist Matt Tuttle on his farm in Stoneville, North Carolina. It was so fun to see the beauty of his property and all the amazing animals he has there. I guess there is quite a bit of farmer in me so I was in my element meeting the goats & sheep and donkeys. After brainstorming a bit we came up with the idea of Fashionable Farmer and gathered our team of stylists and talent! On a chilly morning we braved the cold weather and animals to make this happen. Hope you enjoy a little behind the scenes look. 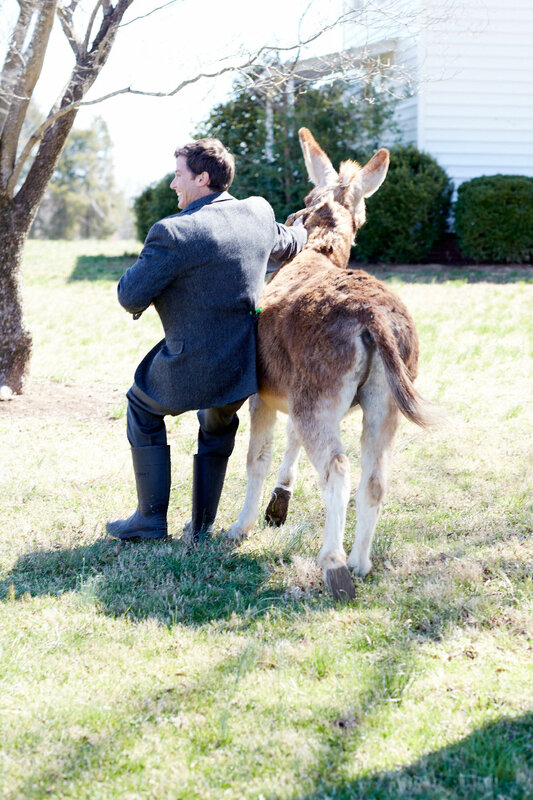 And don’t miss Matt’s Donkey Styling 101 video! Balancing a healthy lifestyle with a career, family, a social life and, of course, personal time, is challenging! I lead a fast-paced life, so I've found that to be especially true, even more so when I'm on the go on location. Riding my horse has always been my happy place and a way for me to unwind and get exercise in that I enjoy. But lately I've been wondering how else I can have some down time and get some exercise in too. I've tried yoga and did notice that it helped my posture, but it's so hard for me to slow down enough to enjoy the practice. Perhaps that means I should keep practicing! During our shoot for Burt's Bees last summer on a beautiful day, our stunning model Katrina worked her way through a few simple yoga poses by the pool at our gorgeous location in Chapel Hill. Even though we were shooting, watching her practice was so relaxing and really inspired me to give yoga a shot again. So, does anyone have any advice for a beginner like me? We hope you enjoy these images, including some from behind the scenes!, from our shoot with Burt's Bees, because we certainly loved this day and working with this team. 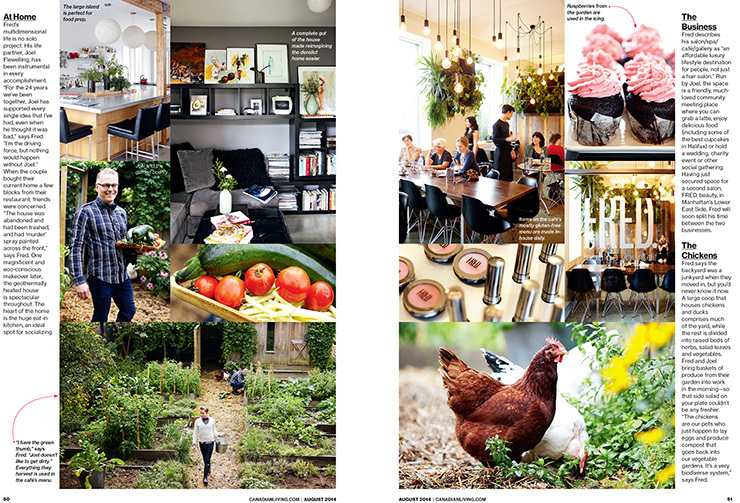 We are always thrilled when Garden & Gun magazine calls with an assignment. 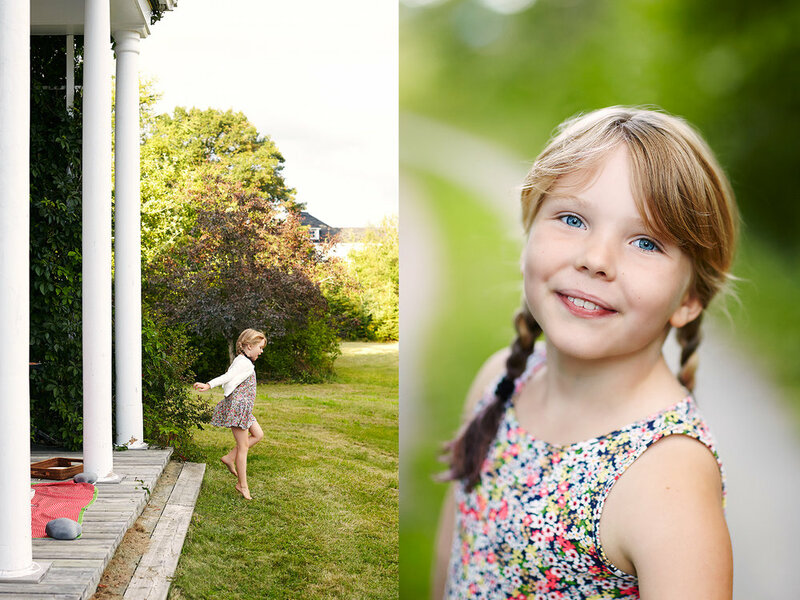 We adore working with their creative team and who doesn't like to shoot in beautiful Charleston? We had a super fun day of shooting . . . we started in the wee hours of the morning and ended hurrying to get our last shot before a huge storm rolled in! It would probably surprise you to know that the pool float was almost 8 feet long making it a challenge to keep it where we needed it to be in the pool . . . These images just make you long for a nice holiday by the sea or pool, don't they? A few behind the scenes . . . The Holidays are almost here already and this month’s December issue of Our State Magazine includes Stacey’s image as the cover! Not only did Stacey get the chance to shoot these beautiful and unique vintage ornaments but she also had the opportunity to photograph some pretty delicious coconut cake as well! For an interesting tale about the Ornament King of Gastonia and to get a wonderful recipe for Coconut Cake, grab the December Issue of Our State Magazine! Also, a wonderful video was put together by Peyton Lea! To see the video, click here. 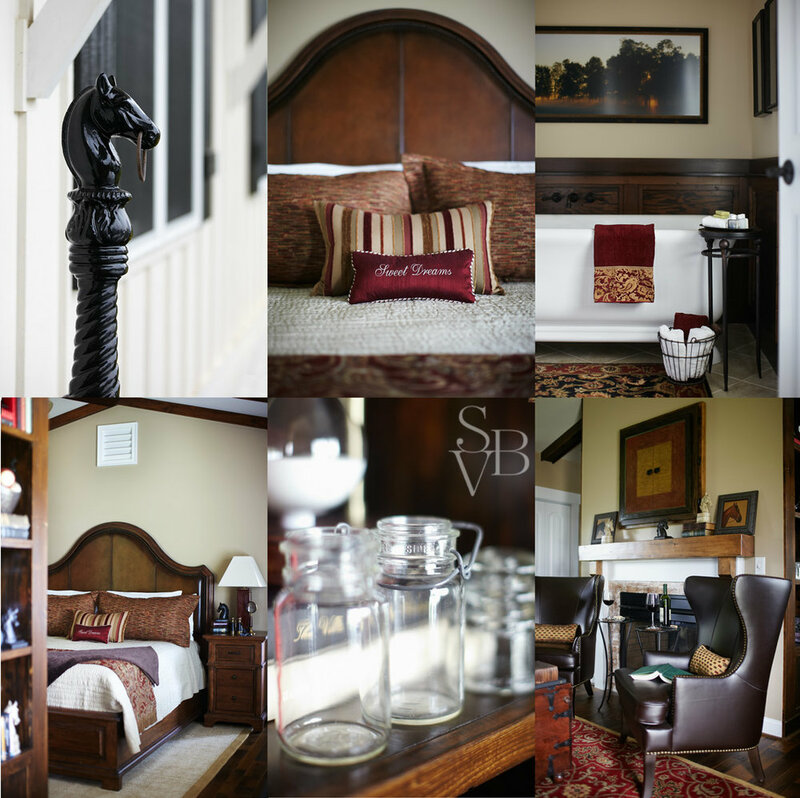 We are so proud of this project we shot for Sunbrella! One of my favorite editorial assignments of all time! Early on Thanksgiving morning, I ran through the fields in the mist to photograph the Blessing of the Hounds in Southern Pines for Our State magazine. Beautiful horses, riders dressed to the nines, the excitement of the hunt and a foggy morning – it was idyllic in every way! Do you ever have that feeling that you will like someone before even meeting them? When I got the assignment to shoot Lola Augustine Brown and her modern homesteading family in rural Nova Scotia for Canadian Living, I just knew we’d be kindred spirits! A Brit moves to small town Nova Scotia with her new husband to start a simpler life. There are clucking chickens, sweet children, beautiful knitted goods, homemade preserves and two very interesting adults. Lola is a very talented writer and can throw together an al fresco meal in a flash. I really admire what they are doing. I know some days are not easy but there is something wonderful living close to the land and having so much space for your kids to romp around in. I have to admit I was having so much fun at this shoot that it was hard to tear myself away. But alas, I had to drive back to my parent’s house in Antigonish. I left with a jar of Lola’s homemade rosehip crab apple jelly and it was an au revoir not goodbye because I have an intuition that we’ll meet again. 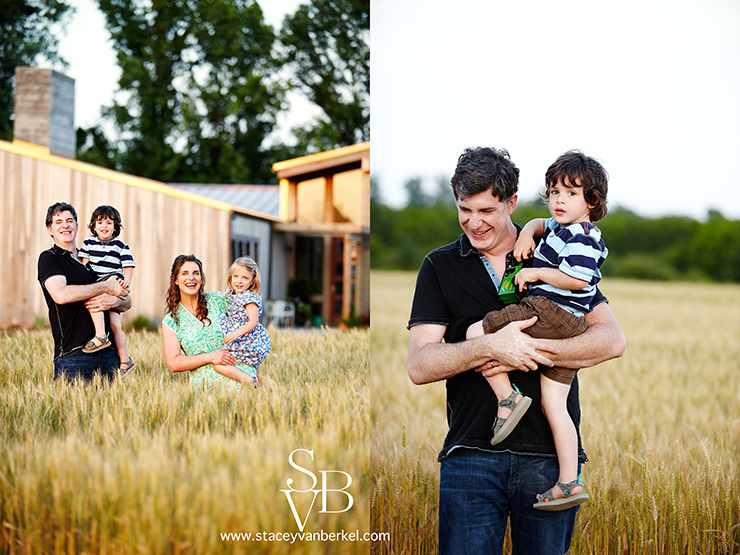 . .
Well, you can’t go wrong with a golden wheat field and such a cute family! 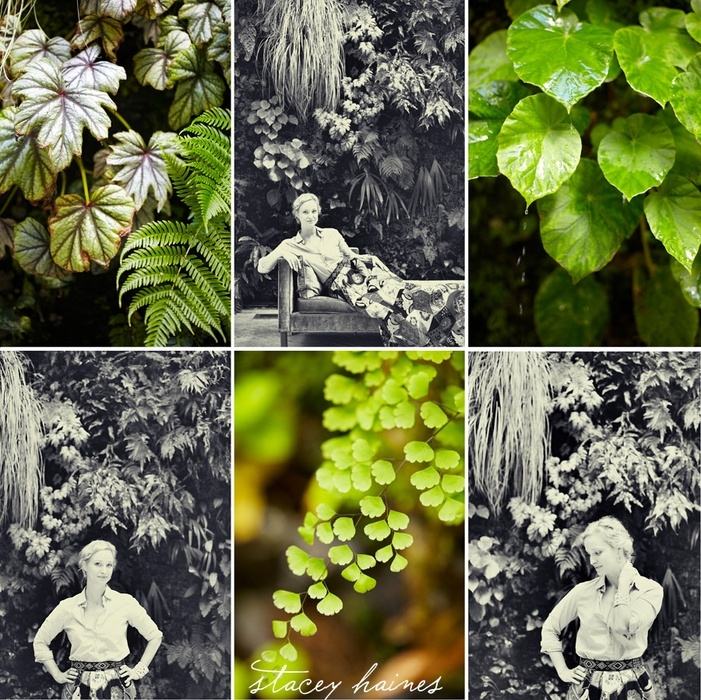 At the end of our shoot for Garden & Gun’s August issuewe did some fun family portraits of Vivian & Ben and the kids. See the interior of their fabulous house here and stay tuned for photos of the impromptu dinner party! It is such a privilege to see inside the lives of the people I get to photograph. The August issue of Canadian Living (get your copy now!) features one of our favorites – a day in the life of Fred Connors in his beloved city of Halifax, Nova Scotia. Fred is a mover and a shaker – an inspiring whirlwind of style & activism, great food and a model for how to give back to your community. 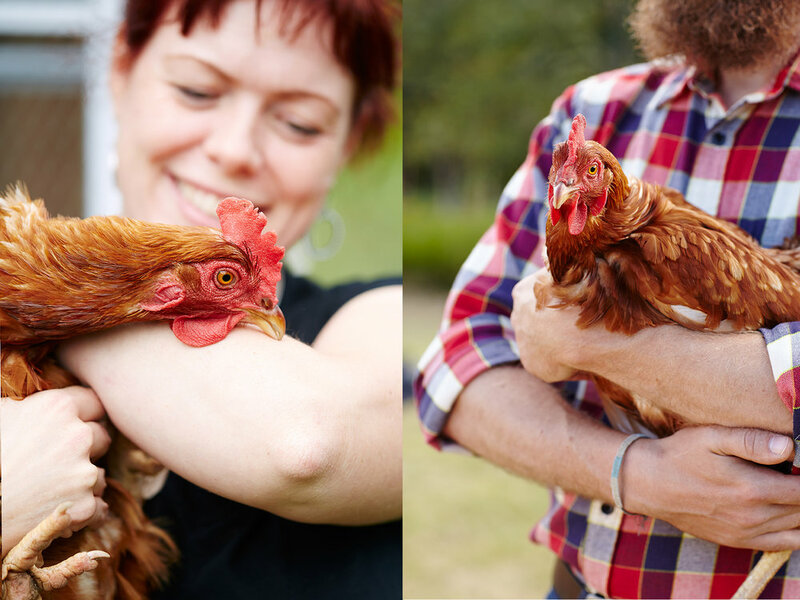 We followed him and his partner Joel Flewelling on a typical day of dog walking, volunteering, gardening, feeding chickens, working at the salon and more. This first installment is about the house Fred & Joel took from abandoned to urban chic. 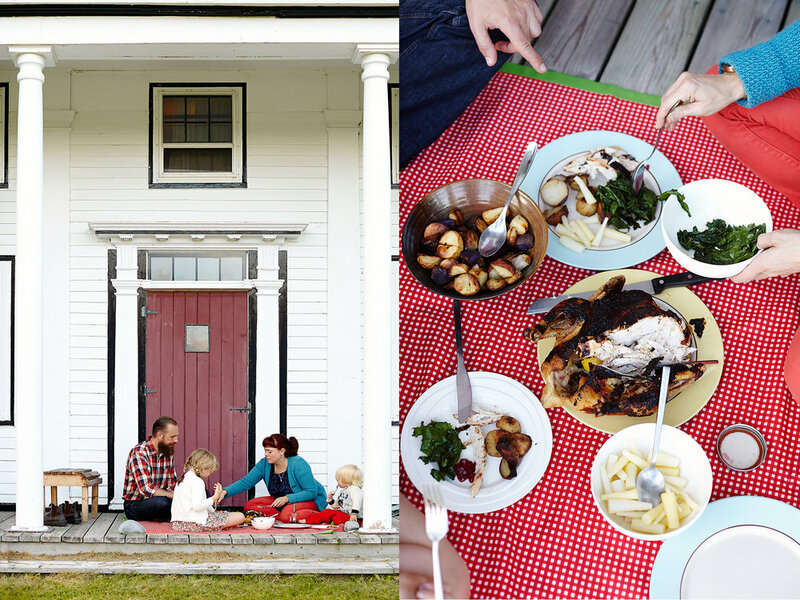 I hope you enjoy a peek at the Canadian Living article and then some photos of their house in the north end of Halifax! How lovely to arrive at Bed & Breakfast on Tiffany Hill after the hustle and bustle of a freelance photographer’s life! Maria and I thankfully drove along the treed country roads and then up the driveway to this peaceful haven near Asheville, NC. Of course, we were there to photograph for Our State magazine, but Selena Einwechter, the gracious innkeeper gives everyone the star treatment! We were ushered to our beautiful rooms and shown all the wonderful amenities: Keurig coffee maker outside the rooms, lots of yummy snacks, homemade peach tea and anything you could need really. We unpacked our equipment and were able to spend some time planning for our shoot. It is a luxury to have some time before shooting! Selena is so warm and friendly and her goal is for each guest to have a peaceful and wonderful stay. There are porch rockers, a quaint fenced herb garden and a wooded trail with little nooks to sit and read or just soak in the ambience. The pineapple has long been a symbol of hospitality and you’ll find that this bed and breakfast to be a fine example! We were excited to have the cover of Our State this month! Hope you enjoy seeing a little more of Tiffany Hill . . . 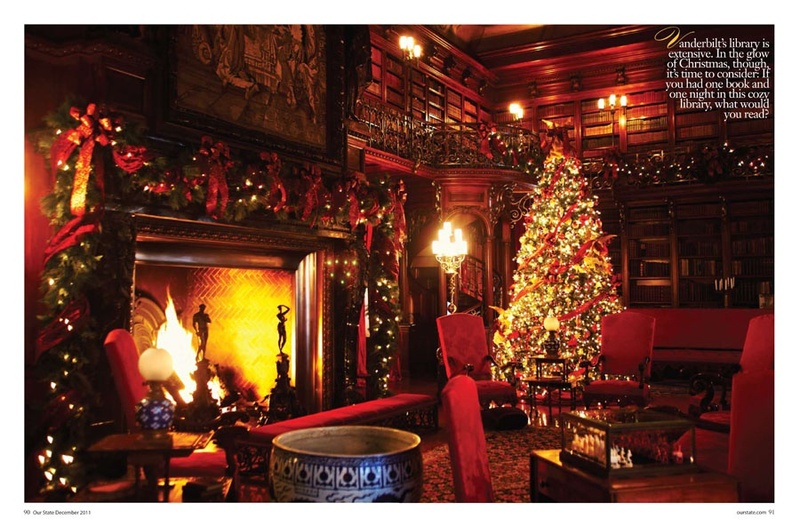 The Biltmore Estate is beautiful any time of year but they certainly do put on a grand show at Christmastime! Here are a few more of my favorites from the shoot. The only behind the scenes photo I took was the one of Maria & LeeAnn waiting on me outside by the lights . . . Excited to have another cover of Our State magazine & a 20 page story on the Biltmore at Christmas! Maria and I loved every minute of photographing at the Biltmore during the holidays – the trees and the lights were magnificent! Thank you to LeeAnn Donnelly, the senior public relations manager, who hosted us for our Biltmore shoot! Check back this week for more images from this shoot and a feature on an amazing collector of Spode china. 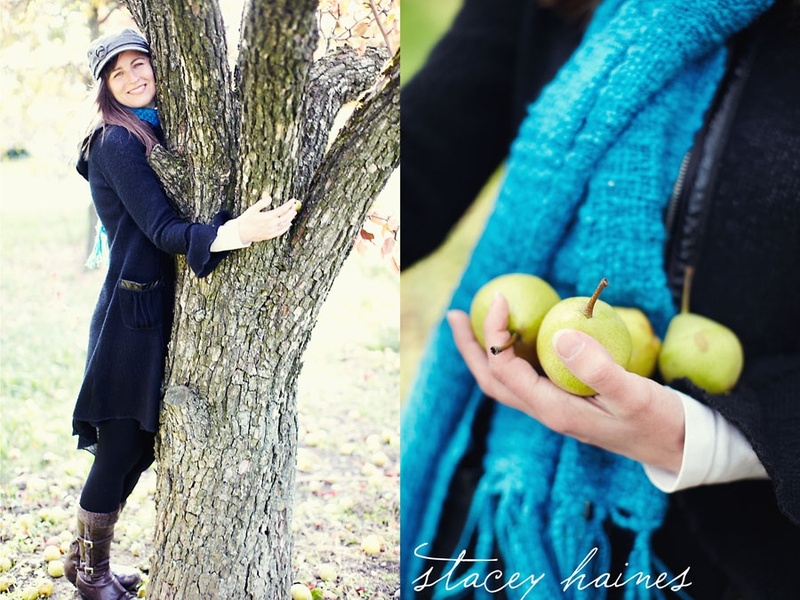 After seeing the pear orchard near Fenwick, Ontario I was longing to do a little shoot there amongst the striking red leaves and greenish yellow pears. My cousin Sylvia volunteered to be my model and she even had a retro red bike. We had lots of fun running around the orchard – I even forgot to ask permission but no one seemed to mind. . . I have been encouraging Sylvia to do some modeling – she is so naturally beautiful, don’t you think? We were thrilled to shoot another story for the “Firsts after Forty” feature in MORE Canada’s October issue. Anne McKenzie dreamed of playing the bagpipes while on a memorable trip to Scotland and now she is pursuing her dream. 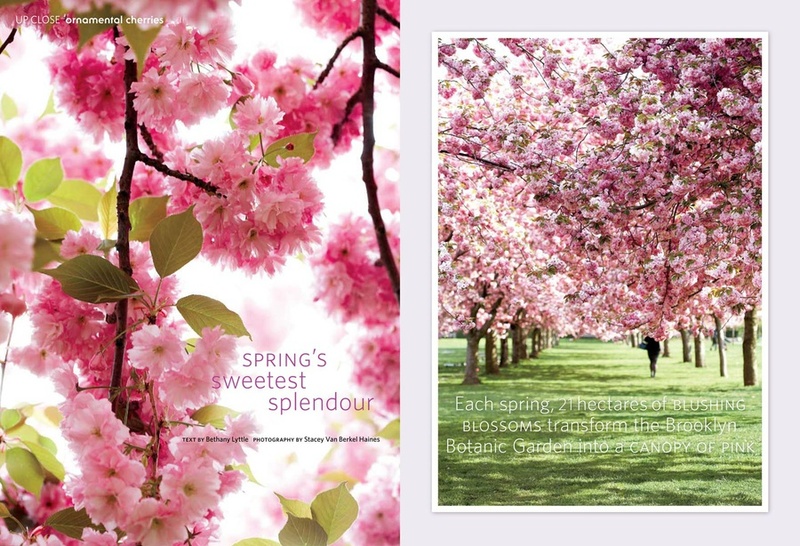 Check out the magazine for more of her inspiring story! See the story below plus a few other favorites from the shoot. 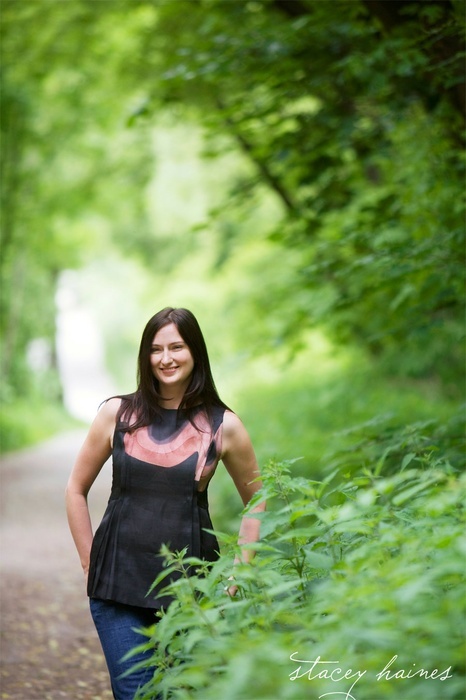 Also, I was a featured contributor this month – thanks to Melanie Litchfield of Whitebox Weddings for the lovely portrait that has been published over and over! This summer I had the amazing opporunity to shoot the Firsts After Forty grand prize winner in beautiful New Brunswick, Canada for MORE Canada magazine! 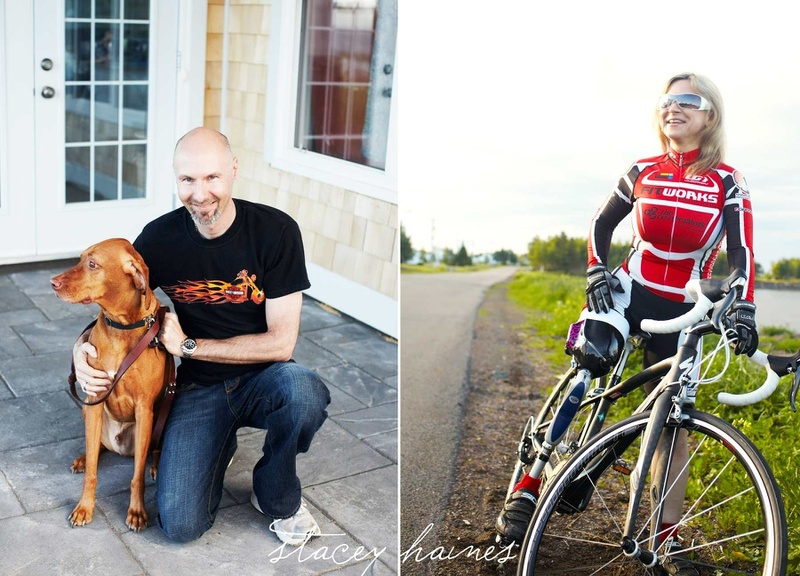 Julie Hébert lost her leg as a young woman but when her husband Simon suggested she try cycling she was game to try. Julie won MORE’s contest and is now inspiring all women to pursue their dreams at any age no matter what obstacles they face. My assistand Maria and I fell in love with Julie’s sweet and vivacious spirt and the beauty that surrounds her on the coast of New Brunswick. A big thank you to our fantastic make up artist Sarah-Jane Britton and we look forward to working with her again! My vizsla Simon came along for the ride to the Maritimes so we thought it was funny to take a photo of the two Simons . . .
It’s cherry week! Aren’t they divine? I have loved them since I was a child, eating whole baskets with my Dad. They stained our hands and mouths crimson but we couldn’t stop eating them! I think the most amazing thing I have done with cherries is to roast them in the oven with lemon zest and a little sugar – I can’t even describe the intense scrumptious flavour that erupts in your mouth! 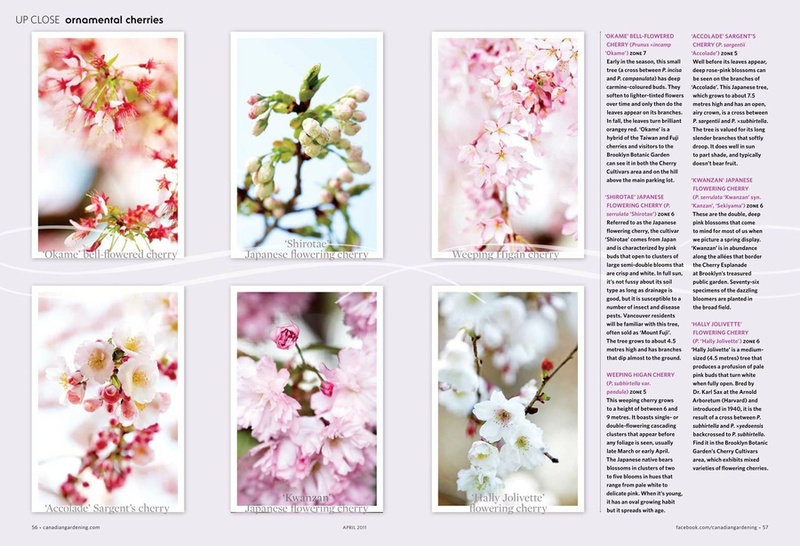 Over the last year I have had some amazing photo assignments that allowed me to photograph both blossoms and fresh cherries in season. Hope you enjoy! 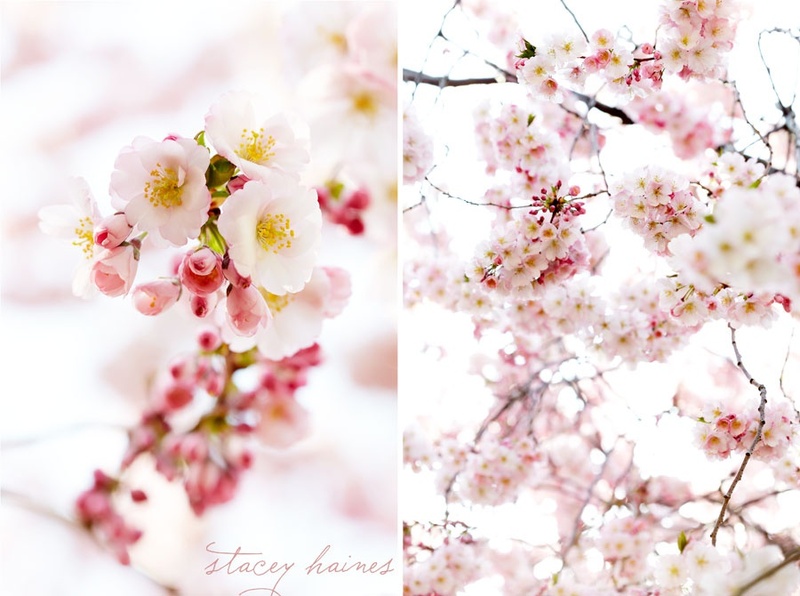 My dream to see cherry blossoms in the spring was finally fulfilled when I photographed at the Brooklyn Botanical Gardens for Canadian Gardening. 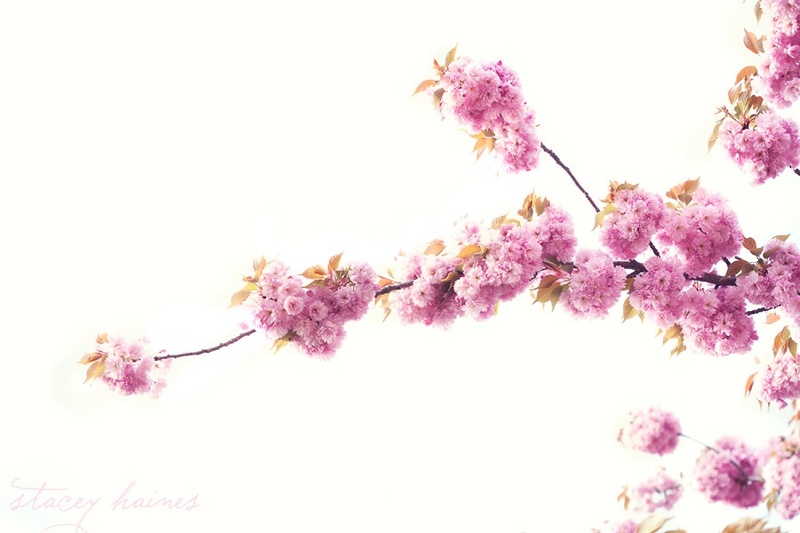 To make the day even more special, my mother came with me to the fairyland of pink and white fluffy blossoms. 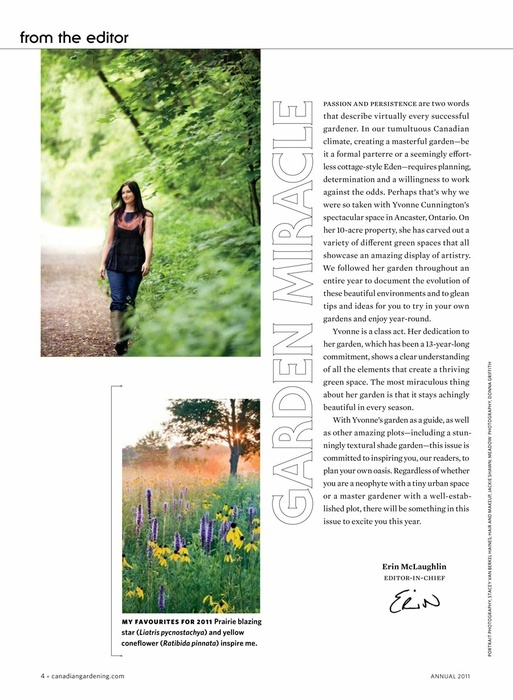 This story ran in the spring for Canadian Gardening and I’ve included a few other favorites from that day. . . 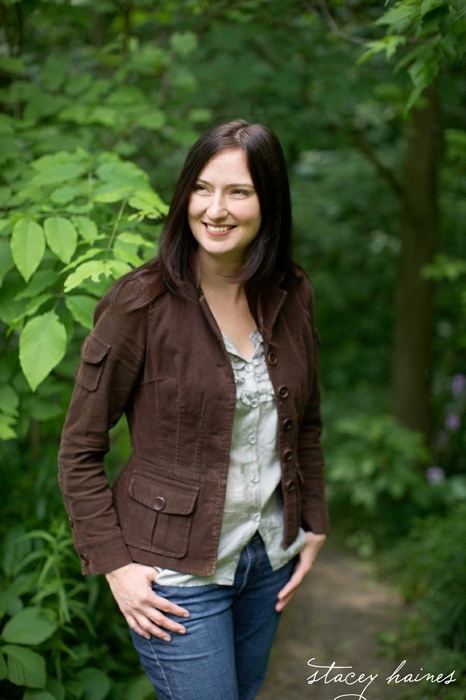 Some people are very photogenic and Erin McLaughlin, editor of both Style at Home and Canadian Gardening, is a prime example. She is so natural in front of the camera and joy to photograph. With the amazingly talented and super nice Jackie Shawn along to do makeup, my job was so easy . 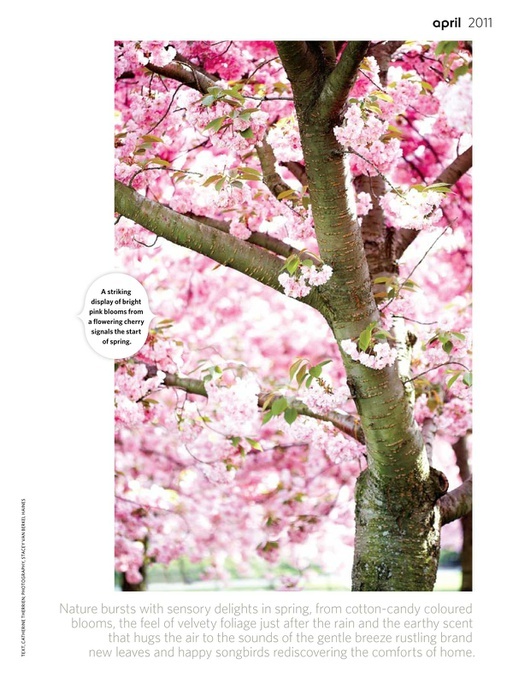 . .
Another great assignment from Garden & Gun magazine! Everything about this job was pleasing to the eye. 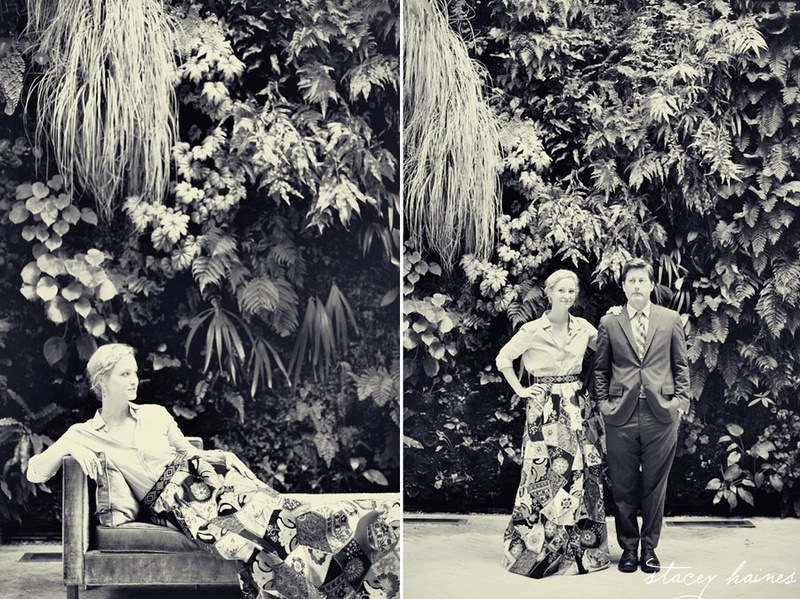 My subjects: the lovely Laura Vinroot Poole, owner of the stunning couture boutique Capitol, and her talented architect husband, Perry Poole. The backdrop: the amazing vertical garden wall by famed botanist Patrick Blanc in the middle courtyard of Capitol. I was thrilled when I spotted a turquoise tête á tête inside Capitol! I couldn’t have asked for anything more. 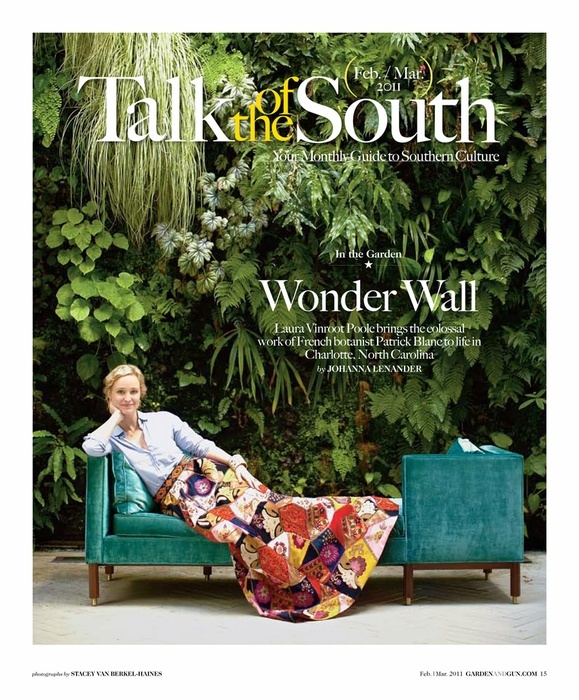 We were pleased to have the opening photo of Garden & Gun’s “Talk of the South” section – see more photos at Garden & Gun. Below I have included the article and then a few of my favorites from the shoot. Hope you enjoy!